We are happy to be the customers choice for Catering Las Vegas. 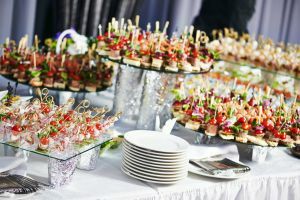 Our staff, experience and resources have positioned us among the top rated Las Vegas Catering companies. 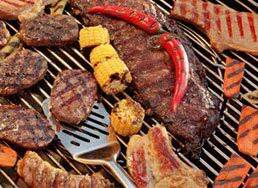 Our wide variety of barbecue flavors and grilled favorites are certain to deliver the BBQ food your guests crave. Whether entertaining friends, family, clients or co-workers our luncheons are tailored to your needs. 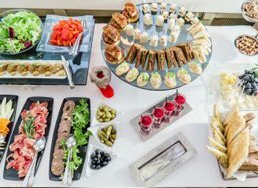 Our Las Vegas cocktail catering services are second to none. Specialty drinks, wine tasting and more. 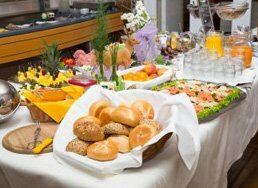 From elegant and classy to comfy and casual we are consistently a top rated Las Vegas Breakfast and Brunch catering. 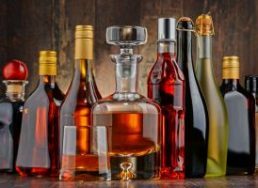 We can create a mobile bar with our Las Vegas liquor catering services. We bring the booze with a professional bartender. 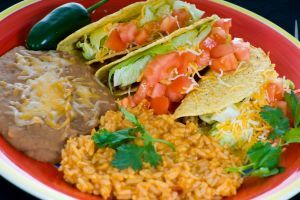 We bring the all the delicious and authenticate flavors of Mexican food to Las Vegas for your catered event. We proudly provide our catering services to anyone from any lifestyle that enjoys great food and excellent service. 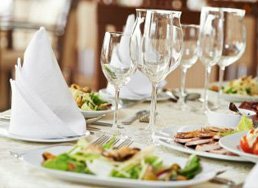 While there are other Las Vegas catering companies that provide corporate catering, none do it with the class and quality of Las Vegas Cater. 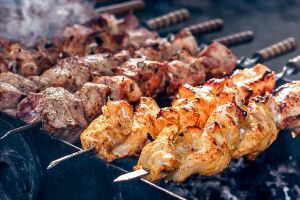 With an exciting diversity of menu choice and options to fit any budget, we’re the perfect choice for corporate catering in Las Vegas. Whether you need something stripped down and simple or elegant and exotic, you’ll see no one caters Las Vegas like we do. Our BBQ ribs, prime rib, grilled chicken or pork shoulder will wow even the most finicky of meat eaters. Paired with the best cornbread you’ve ever tasted or some traditional cole slaw and we’ll be your favorite catering company for life. We’re ready to provide you quality Las Vegas Catering for your alternative lifestyle event. 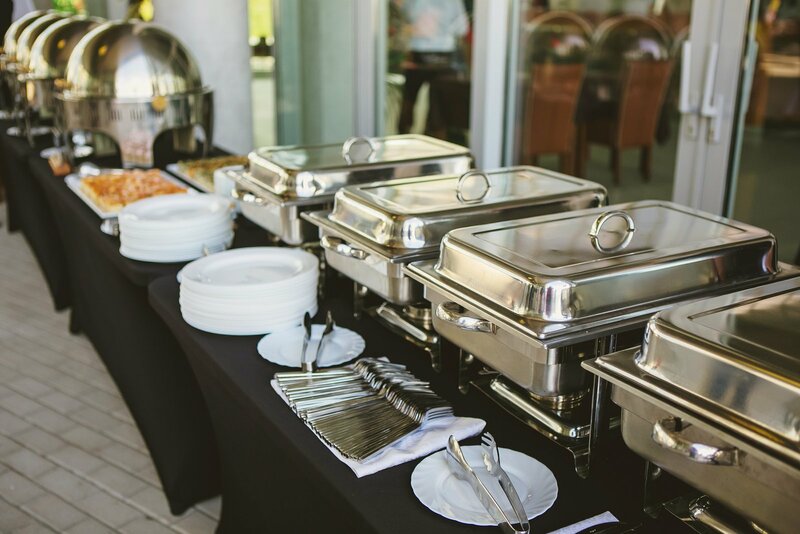 If you’re looking for great one-stop caters in Las Vegas, we’re competitively priced and will accommodate your event down to the smallest catering detail. 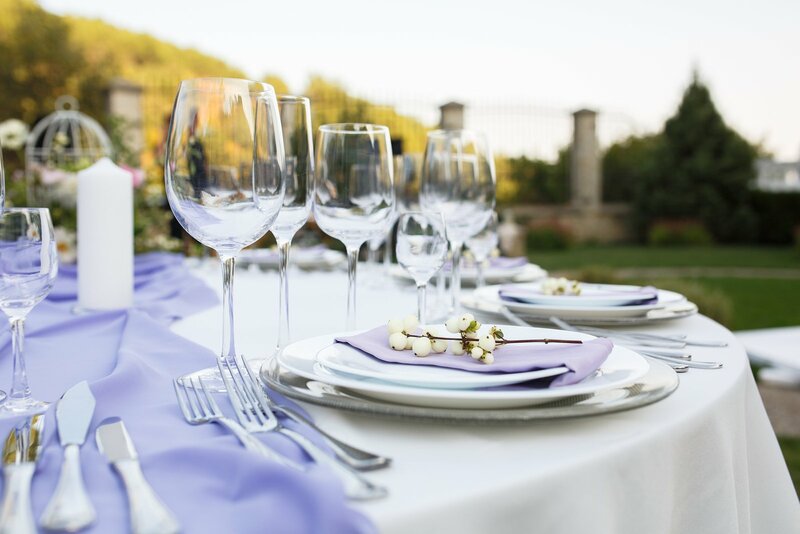 Simple and elegant or casual and relaxed, our expert planners will ensure your guests have the ultimate experience. 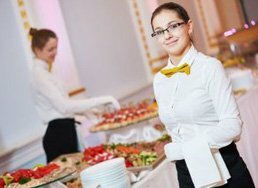 We love to cater cocktail parties and if you want to throw the Cocktail Party Las Vegas will rave about, we’re the Las Vegas Catering company you want. From small intimate affairs to full bar blowouts, we’ll ensure that even the tiniest of details are fully covered. 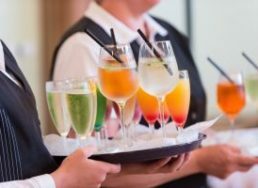 Sit back, relax and host an amazing cocktail party with us as your backup. We’ll provide bar and serving staff plus clean up when everyone is leaving to go home, thoroughly entertained. Yes, of course, we’ll even provide the fancy paper umbrellas is the event calls for it. 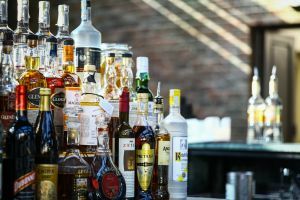 Whether it’s the company picnic or a family get together that requires an extensive list of adult beverages, we provide a variety of bar setups. Liquor Catering Las Vegas events will boost your profile and provide you with additional promotional opportunities. The bragging rights will be all yours when you pull off the ultimate Liquor Catering Las Vegas party, with a little help from us. 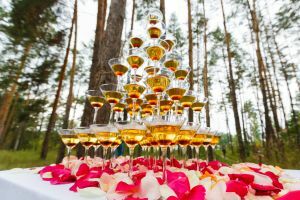 We’ll supply the car staff so you can entertain your guests and not have to worry about glasses staying full. Leave all of that to us. We’ll keep it classy and dignified if the occasion calls for it or casual and fun if that’s what you wish. 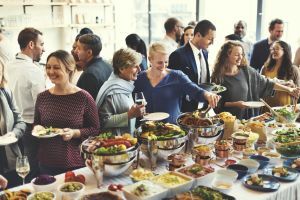 If you’re looking to impress the board of directors at that big meeting or want to show off at the family reunion with a high class luncheon, we’ll be your partner in success. We love catering Las Vegas luncheons and provide everything but the appetites. 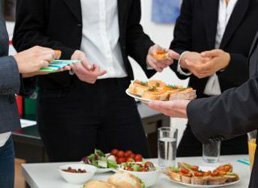 A catered luncheon is the perfect way to reward your staff for a job well done or provide some food and drinks for the office meeting. From sandwich platters to more sophisticated fare, our food is meant to impress. Leaving the cooking, cleaning and serving to us. 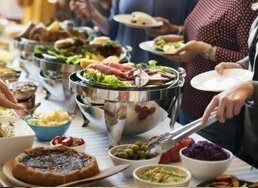 We’re provide family style catering to fit any budget and ensure your guests get delicious food. 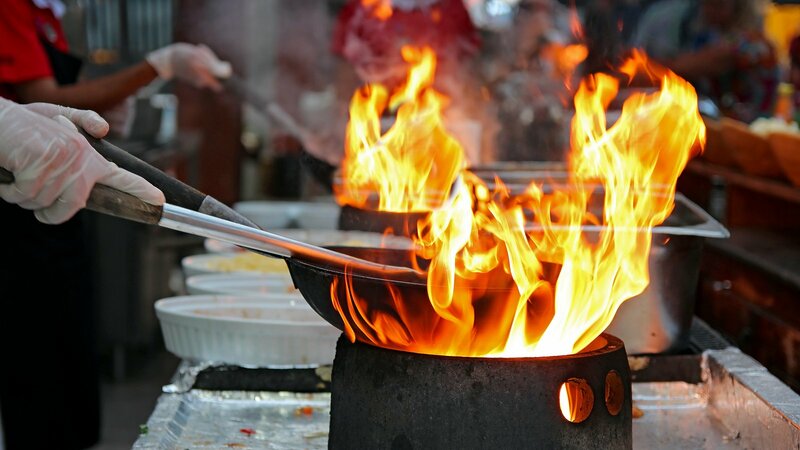 From old favorites like chicken fingers and fires to fancier fare, we’ll catering show you want true Las Vegas Catering is all about. Don’t sweat long lines at local buffets, when we’ll bring the food to you. Sharing a meal with family is the perfect bonding experience and we’ll make it that much more special with one of our signature dishes. Keep the conversations flowing while we tackle cleanup and dishes? Provide your family and guests with a mouth watering sit down dinner. We provide a distinctive menu with multiple choices for all tastes. We even offer vegetarian options to ensure everyone is included. Let our experienced chefs doing the cooking and we’ll even handle the dishes. This option makes for the perfect date night in as well. From simple comfort foods to full blown gourmet dishes that will make even the pickiest foodie stand up and cheer, we’ll provide the perfect dinner. Catering Las Vegas isn’t just about fancy dinners and cocktail parties. Often, you have a special occasion or need that occurs earlier in the day or on a lovely weekend morning. 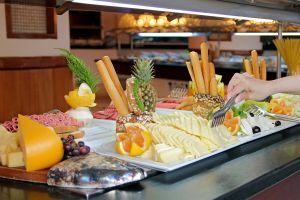 We offer a variety of options for breakfast and brunch. From waffle stations to breakfast bars and juice stands, we’ll keep your early hours gathering well stocked and with a generous dose of professionalism. We don’t just offer one or two breakfast items. We can plan a full menu with varied options and even vegetarian options. We’ll set you up buffet style or cook your eggs to order. Our breakfast chefs will keep your mouth watering and you tummy full. Nothing says “let’s cater this party with food everyone will love” like BBQ Catering. Various cuts and types of meat married with delicious BBQ sauce and tantalizing sides dot our catering offerings. Your guests’ hunger for great BBQ is our beck and call. They want meat and we’ll provide it, along with some tasty desserts to finish it off. If your guests want something a little more custom, you’ll want to use our Taco Catering service. From taco stations to build your own burrito bars, we’ll provide plenty of hot, fresh, delicious Mexican food with all of the sauces and sides ready to be devoured. 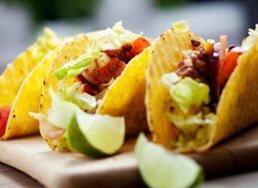 This is especially popular with the young ones as they can build their own taco however they want with just the right amount of toppings. You won’t get this kind of quality or service at a drive through window. Ranging from sit-down menus to full blown catered food and bar, our Mexican Catering features traditional dishes and new surprises. 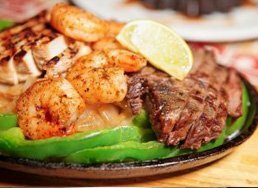 Our team will provide our renowned service and your guests will fill up on delicious Mexican food. Enchiladas, tacos, burritos, tamales and other dishes will appeal to even the most discerning of palettes. 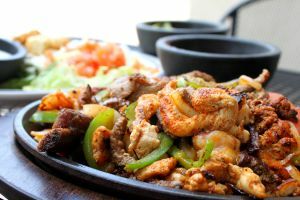 A full Mexican dinner can be highly complemented by a tequila tasting or even some cold refreshing Mexican beers. Our full bar service will complement the meal and leave your guests full and satisfied. You have enough to worry about on your big day. Leave the catering to us. 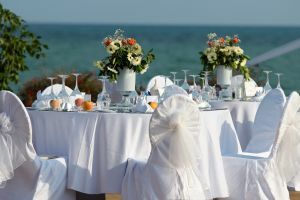 Our Wedding Catering packages will accommodate any budget and give your guests even more to rave about. We can provide bar service, sit down menus, family style dinners or our famous BBQ catering. Let our experience and quality service give you peace of mind and make your special day even better. Your guests will want to keep a copy of the menu so when they book their own event with us, they’ll already know the quality and taste we deliver. Contact one of our event planners and we’ll handle the heavy lifting. We’ll leave no detail overlooked. 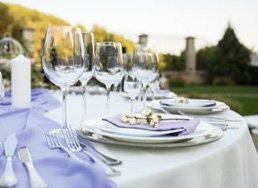 Las Vegas Cater is the epitome of class, elegance and professionalism. At Las Vegas Catering, we pride ourselves on providing a wide array of options in catering Las Vegas. We’ll cover all of the bases. Our services and prices will fit any occasion, from the budget conscious to those who want to throw the ultimate party, sparing no expense.